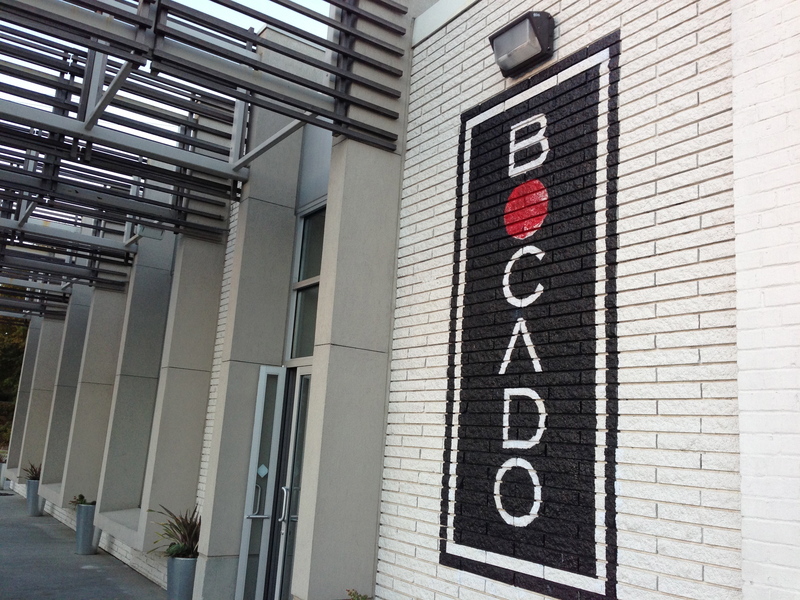 Date Night gets trendy and heads to Bocado, one of the hottest spots on the Westside. It’s not quite as hot as The Optimist (just named restaurant of the year by Esquire Magazine), where we could not get a reservation, but look for us to visit there when the hype cools down a bit. Bocado is in an old building that has been nicely refurbished, right where Marietta Street hits Howell Mill. In honor of Atlanta Beer Week, which is this week, we should mention that it’s only a few steps away from our favorite beer store, Hop City. What was once a dumpy warehouse is now a nice place to eat. Okay, first things first…we are out on Thursday this week because it was better for our schedules. Don’t worry, we are not starting a new “Thursday Date Night” blog. 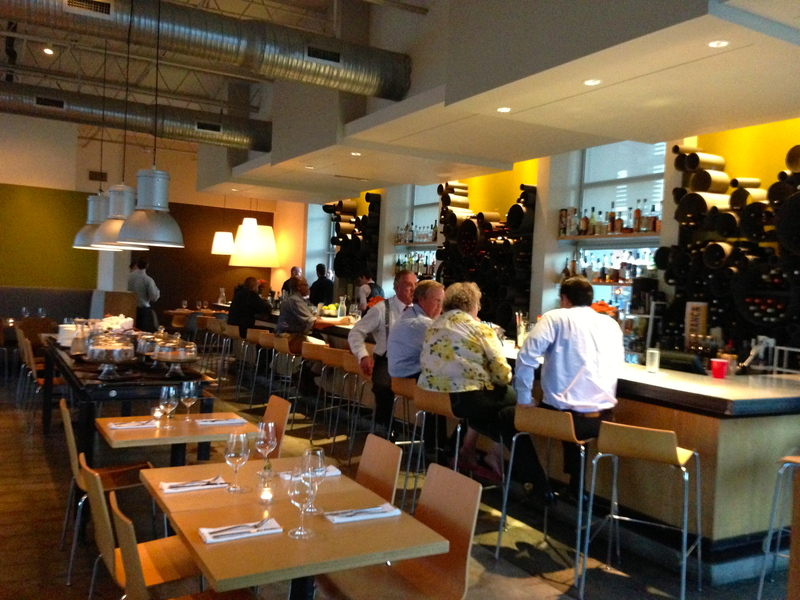 The Bocado menu changes nightly, so what we have tonight might not be what they are serving the night you go. Trendy people at the trendy bar. We may have mentioned that it’s Atlanta Beer Week, and Finch’s Brewery from Chicago has taken over the Bocado taps. Well, three of the four taps. It’s always fun to taste what’s on tap. 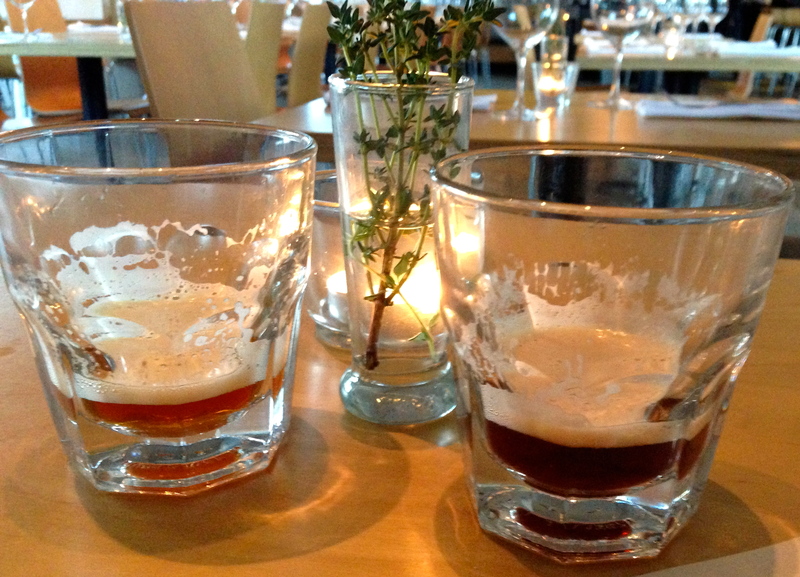 Our waiter offers to bring us tastes of the red ale and the brown ale, a nice touch. If you are ever undecided about a beer on draft, ask your waiter to bring you a sample. Most good bars will do that. Neither beer pops our top, so we decide to go big with tonight’s carbonated adult beverage. It’s Belgian beer night during Atlanta Beer Week. 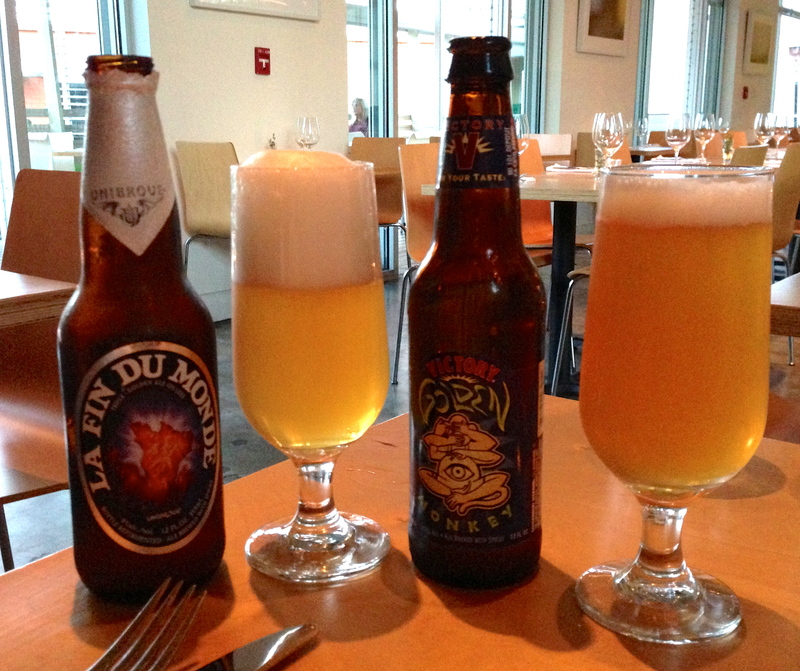 La Fin du Monde is from Montreal and shows that the Canadians can do a Belgian just as well as the Belgians. This is not our first glass of Victory Golden Monkey from Pennsylvania and there’s a reason for that–it’s one of the best Belgians we have had. Who wins the Big Belgian Beer Brew-off tonight? To me, it’s Victory by a sip. The finish is amazing and should be experienced by all beer drinkers. Eve likes the Canadian beer better, so we’ll call this one a tie, eh? It’s time for food, so bring on the small plates. 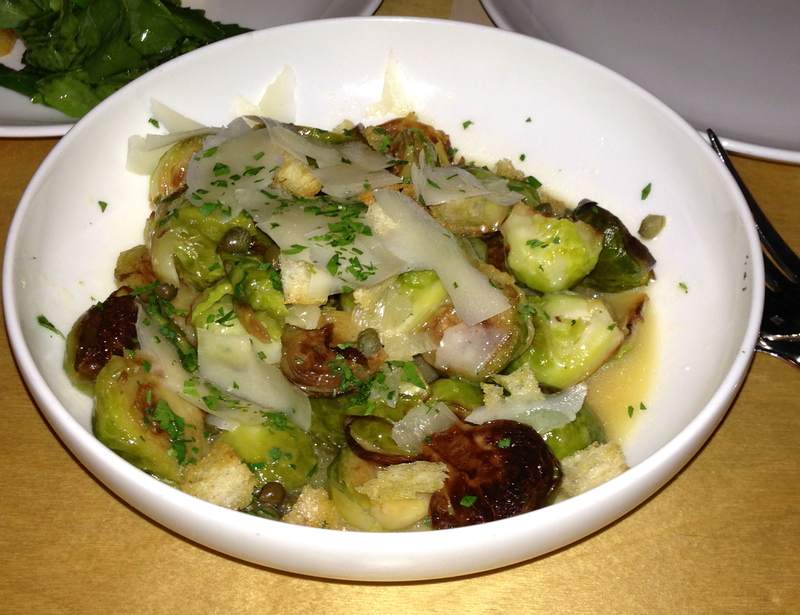 For some reason, we are on a Brussels sprouts kick these days. The once-dreaded Brussels sprouts is making quite the comeback. Check out the shaved parmesan cheese on top. They are good, but the sprouts from the Happy Belly food truck are better. We also get an order of pecorino cheese as an appetizer. Say cheese! 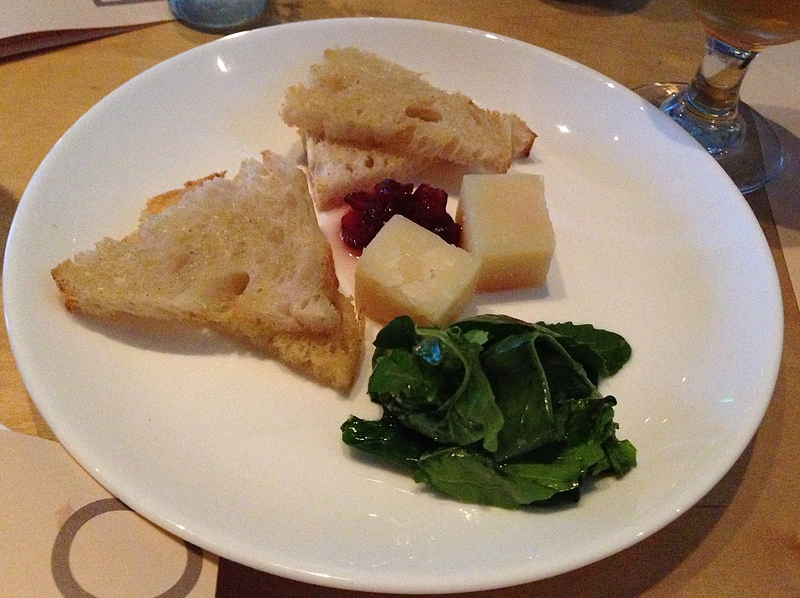 Pecorino with toast and some wilted greens. The bread is especially crunchy and this is a nice small plate. The best burger in Atlanta? It’s close. They use brisket and chuck roast in the ground beef. 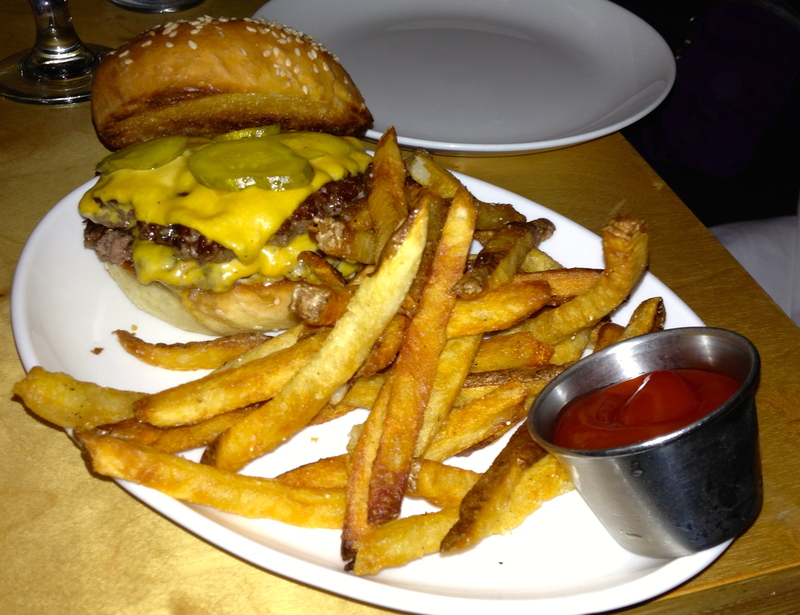 It is one of the best burgers that I have had, complete with house-made pickles on top. If we could have licked the plate we would, but we didn’t want to get thrown out for bad manners before dessert. Eye candy in the middle of the restaurant. Bocado displays their desserts right in the middle of the restaurant. As most people are being seated, or if you have to go to the bathroom, you must walk right by the display. 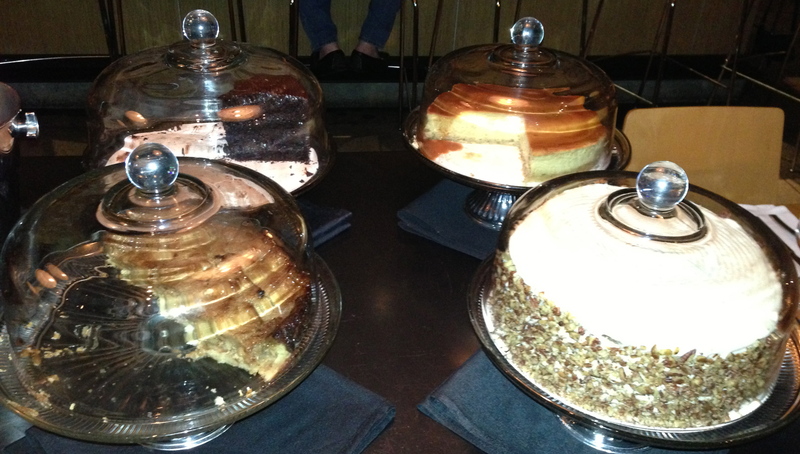 Tonight’s includes lemon cheesecake, chocolate cake, carrot cake, and an apple tart. 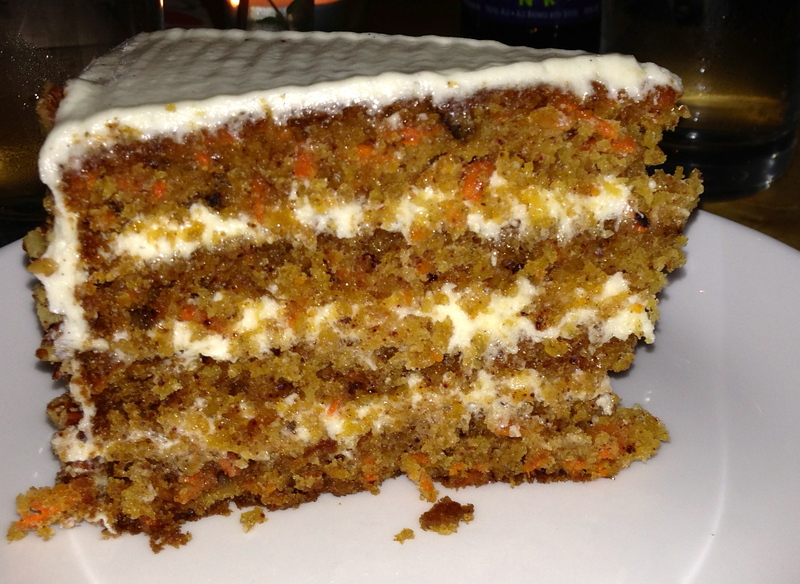 Eve is nice enough to let me choose, and I go with the carrot cake, which has yet to be cut. This looks like an ad for carrot cake. Yes, it is as good as it looks. Again, plate licking is discussed, but Date Night has rules, and since my mother reads this, we don’t want to embarrass her. As we leave Bocado, we look longingly in the window of Hop City, but knowing we have a basement full of good beer, we pass by, knowing that our dining adventures will find us on the Westside sometime in the near future.